Rather than criminal profiling, this page could just as easily have been called psychological profiling, offender profiling or criminal personality profiling. When you read about profiling in a forensic context you’ll see slightly different terms being employed, and more often that not this simply reflects the working background of the author. For instance, a psychologist is likely to refer to psychological profiling, whereas a criminologist may prefer the term criminal profiling. 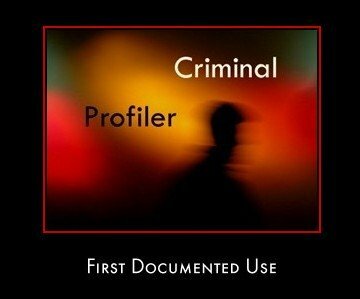 In order to think about and evaluate criminal profiling from a contemporary perspective you need to have some idea of the way in which it has evolved over the years and with this in mind, this page will take a close look at the first widely documented use of profiling within a criminal investigation. The importance of this landmark case cannot be underestimated, as it paved the way for the FBI’s highly influential work on criminal profiling. Work which has come to dominate our modern-day understanding of the topic. The psychiatrist Dr James A. Brussel is widely credited with undertaking the first systematic offender profile within a criminal investigation. It was a profile of the person responsible for a series of indiscriminate bombing attacks spanning 16 years in New York. The first bomb was left at the business premises of the energy utility Consolidated Edison in November 1940. The pipe bomb did not detonate (arguably by design) as when it was discovered it was found to be wrapped in a note stating 'CON EDISON CROOKS, THIS IS FOR YOU'. A year later a very similar device was discovered. The bomb investigation team concluded that it had been constructed by the same person. The location of the device indicated that the bomber was probably en route to the Consolidated Edison building once again but for some reason he had to abandon his plan and the device was just left on the street. Up to this point neither incident had been reported in the press. In fact the perpetrator didn’t make another bomb for nine years. It was March 1950 when a third unexploded bomb was discovered and it was felt that it was never intended to go off. This was merely the calm before the storm, a fourth bomb exploded at the New York Public Library followed by another shortly afterwards at Grand Central station. In the next six years over 30 bombs would be planted, the vast majority of which detonated. Despite the remarkable fact that no one had been killed there was a genuine sense of fear that it was merely a matter of time. Public and political pressure on the police force to apprehend the bomber intensified the longer he remained at large. As a result of this pressure Dr James A. Brussel was asked to generate a profile of the bomber in the hope that it would help focus the investigation. Male, former employee of Consolidated Edison, injured while working there so seeking revenge, paranoid, 50 years old, neat and meticulous persona, foreign background, some formal education, unmarried, living with female relatives but not mother who probably died when he was young, upon capture he will be wearing a buttoned up double breasted jacket. Most of the observations were based on common sense e.g. that he was male (like the vast majority of bombers) and that he was a former employee of Consolidated Edison, which was obvious from the content of the letters posted. Other aspects of the profile were almost Sherlock Holmes like in their thinking, take for example the claim that the bomber was foreign. Brussel theorised that this was because the suspect wrote in an over formal way e.g. using the expression 'dastardly deeds' and the fact that he never used contemporary slang. However, in terms of its lasting legacy, the most significant parts of the profile were based on Brussel’s psychiatric and psychoanalytical interpretations. Brussel believed that the bomber had an 'Oedipal complex' and as such would most likely be unmarried, living with female relatives. Brussel based these observations in part on what he saw as the phallic construction of the bombs and the way in which he wrote 'breast-like' W’s in the hand written letters he posted. Brussel also pointed to the fact that when the bomber planted explosive devices in movie theatres, he would often 'slash' and 'penetrate' the seats. Brussel suggested that the police publicize their investigation along with the profile description of the bomber. In Brussel’s opinion the bomber wanted credit for his work and this arrogance was likely to be his downfall as he may well be tempted to reveal details that would lead the police to his door. Every major newspaper in New York gave details of the profile and although this resulted in a number of false leads, the real bomber phoned Brussel warning him against any further involvement. At the same time administrative staff at Consolidated Edison had been instructed to search their employee files for anyone who appeared to match the bombers profile. A member of staff came across the file of George Metesky. Metesky had an accident at work and had filed an unsuccessful disability claim against the company. In response to the failed disability claim Metsky wrote a series of letters to the company, one of which referred to their ‘dastardly deeds’. George Metesky was arrested shortly afterwards and immediately confessed. As he was being escorted to the police station it didn’t go unnoticed that he was wearing a buttoned up double breasted jacket! Do criminals leave a personality trace at the crime scene? If so, how does this manifest itself, and how do criminal profilers retrieve this information? How useful is criminal profiling within a criminal investigation? These are the main questions I’ll be addressing in part 2 and 3 of the criminal profiling series (see following links). Based on the criminal profiling content covered on this website, Criminal Profiling: An Introductory Guide is designed to let you dive straight into this fascinating topic. The guide provides clear and concise information on such things as the origins of criminal profiling, FBI profiling methodology and limitations; and whether becoming a profiler is a realistic career path. 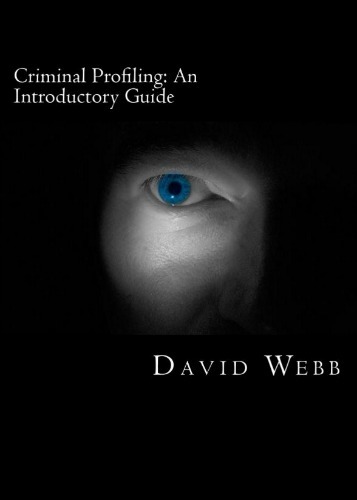 If you are interested in criminal profiling and would like to learn more, Criminal Profiling: An Introductory Guide is the perfect place to start.